Be a part of Cincinnati Dog Training Success Stories! Dog behavior CAN change! Below are a few recent stories from our clients about how we’ve helped them overcome their dog’s behavior problems. We would love to add you to this page! If you’d like to see this type of improvement in your dog, I can help. 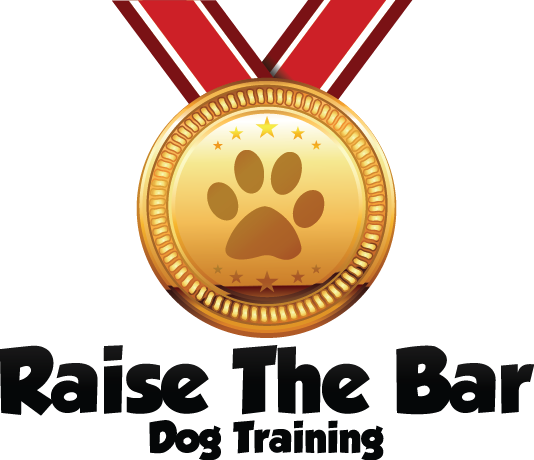 Contact me through Raise the Bar Dog Training at 513.342.0458 or by e-mailing me through the contact page. Change is possible! Hi Cheryl! I have to tell you… I just had 3 moms over, a set of twin babies, a toddler and another new born plus my little guy. Louie was such a good dog! I took him to meet each guest as they arrived and then he would go right back and stay in his bed, not making a sound for the whole visit! A year ago I would have never had this many people over. It was so nice to be able to visit and have good conversations with my guests and not have a furry dog jumping on me or barking at me! I just can’t thank you enough for all your help training Louie! We really appreciated all of Cheryl’s help with training our German Shepherd Sasha! Being a first time dog owner I wanted to make sure I was setting my dog up for success and she helped me do that. We also really enjoyed going through the good citizen class! Hi Cheryl! It’s Emily, Saxons mom. I had to share this. We had a wonderful walk this morning. He did so well and I think he knows it and is smiling for me in this picture I took right after. Thank you so much for all your help so far! We couldn’t be happier with the progress we’ve all made! Cheryl has shown us new techniques to training our strong minded Catahoula. He has been responding in a very positive way and I am grateful for that. I will definitely have Cheryl as my trainer for the fur baby we adopt. Cheryl did an amazing job training my dog. He was only about 12 weeks when she started with him and he has progressed tremendously! She made sure he met all the goals we talked about. I highly recommend her! We had our baby boy on December 31st and Saxon has been absolutely amazing with him! Not only is he in love with his baby brother, but has been so happy and content when we have visitors and strangers (To him) in our home. We seriously can not thank you enough for all your help. He is the best dog, and we couldn’t be more happy! You’re training has paid off. I was able to introduce him to my friends here (as you saw in the photo) and I can’t imagine how that would have went without you. Actually I can imagine, not good! Now every time I have someone coming over I take him out and meet them on the street where they have treats and we go for a short walk. I’ve learned that coming back into the house it’s important to have them go in ahead of me and hold the door for Buddy to follow them in. Works perfectly every time! Biffy was ALMOST put on Prozac due to his anxiety issues, but after lesson one it’s clear no medication is needed 😀 Wohooo! Jenn, Tilly and I wanted to thank you again for the great class! Not only did it help Tilly, but it helped the both of us as well. We really enjoyed it and it was great to know how much you care about the dogs, in my opinion you even go above and beyond by doing the in home consults as well! Thank you again, and I am sure we will see you again!